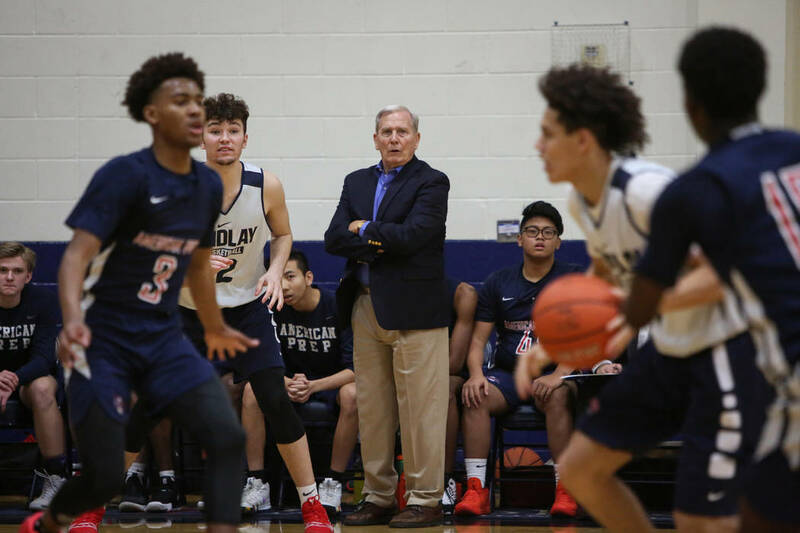 Officials at American Preparatory Academy said they knew about Dave Bliss’ sordid past at Baylor University when they hired him as the charter school’s athletic director and basketball coach. 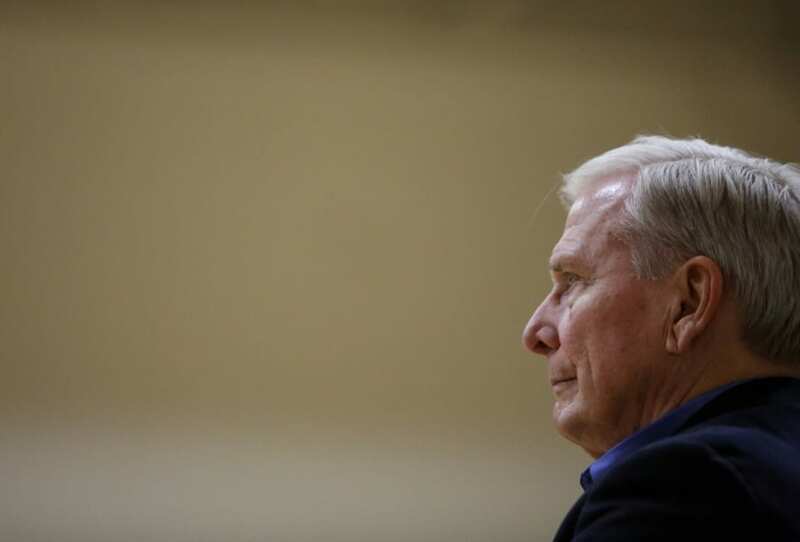 The NIAA decided Wednesday that it wasn’t ready to welcome Dave Bliss. The motion can only be brought back for consideration by an NIAA board member. 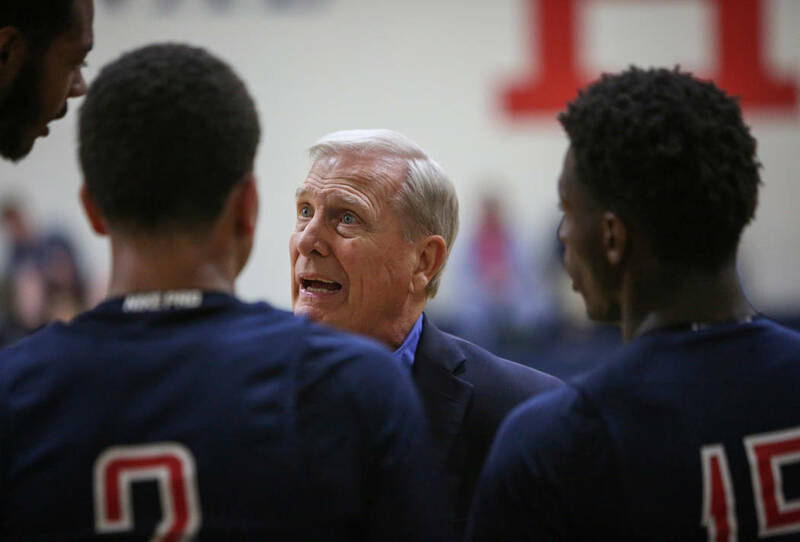 Bliss resigned his position as basketball coach at Southwestern Christian University in Oklahoma City in 2017 upon the release of “Disgraced,” which included his disparaging remarks made in 2003 about murdered Baylor University player Patrick Dennehy. The film played recordings of Bliss fabricating a tale that Dennehy was a drug dealer as a way to conceal that Bliss secretly paid for the player’s tuition while coaching at Baylor because he was out of scholarships. Bliss, now 75, ultimately received 10 years of NCAA probation in the wake of the Baylor scandal and hasn’t coached at the major-college level again. And yet several months after administrators at APA viewed the film, the K-12 charter school in Clark County hired Bliss — making it the second school in Southern Nevada to hire him in the past 18 months. 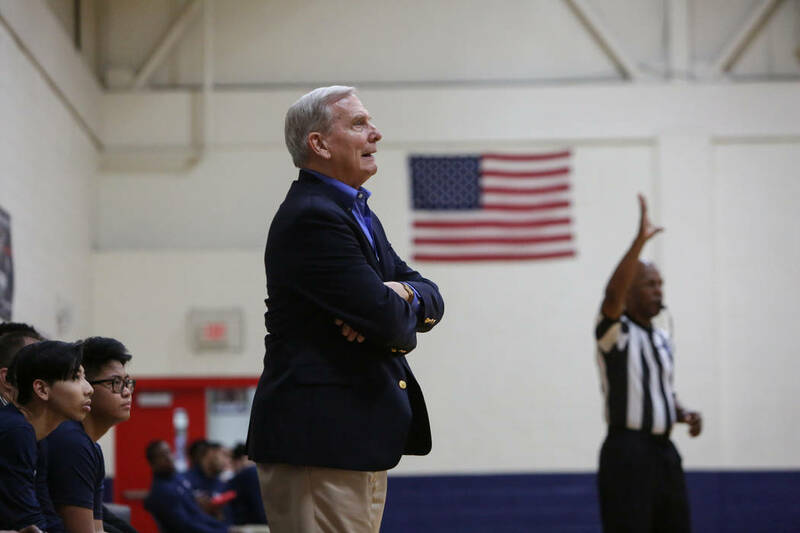 He had served as basketball coach and athletic director at Calvary Chapel for one year. 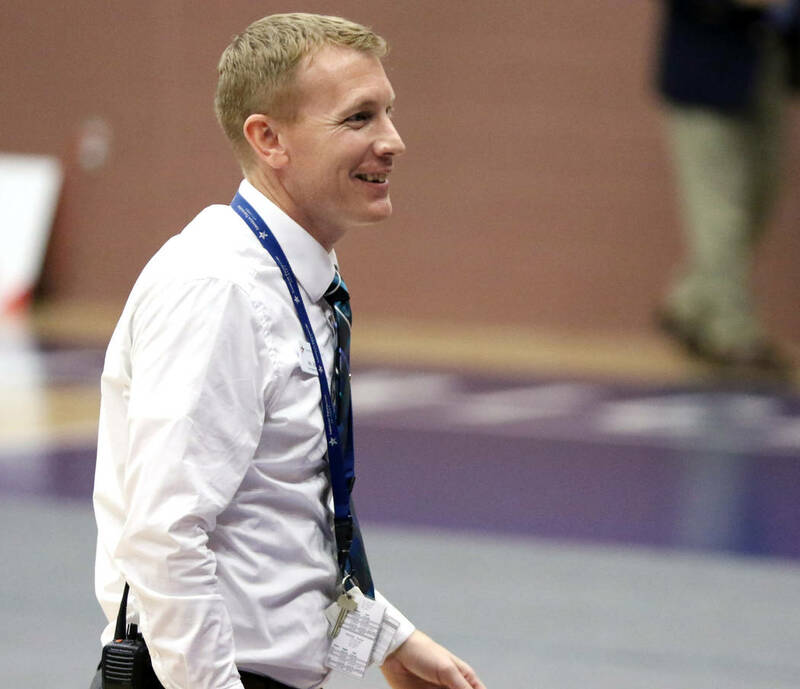 The NIAA oversees Nevada’s high school activities, and only member programs can compete for state championships. Bliss has avoided talking in depth about his time at Baylor. He said there will be a time and place to discuss it. But parents and administrators were doing plenty of talking in the months prior to Wednesday’s meeting, openly questioning whether Bliss plays by the rules. 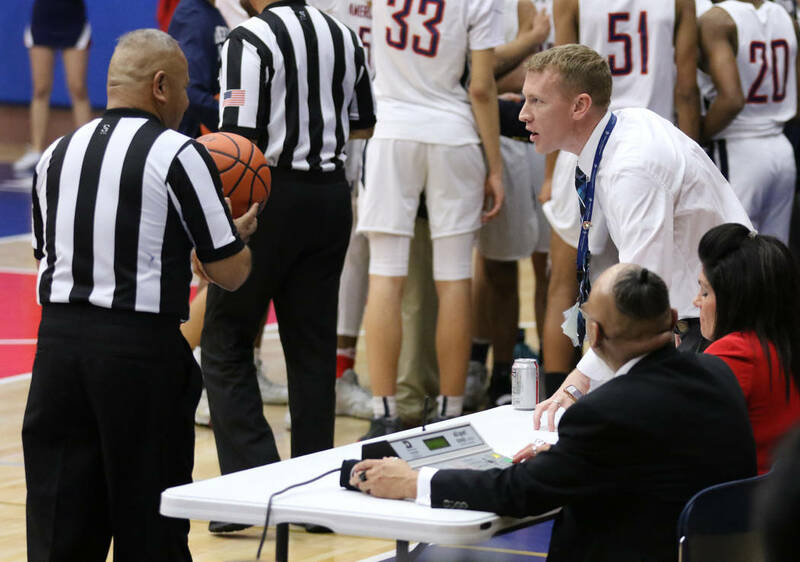 APA was forced to forfeit two basketball games at the middle school level this season for using a high school player and another player without eligibility. In an interview with the Review-Journal earlier this year, Bliss said his high school program is clean. Bliss’ predecessor, Darrell Larsen, was hired by APA in June 2017 as athletic director. 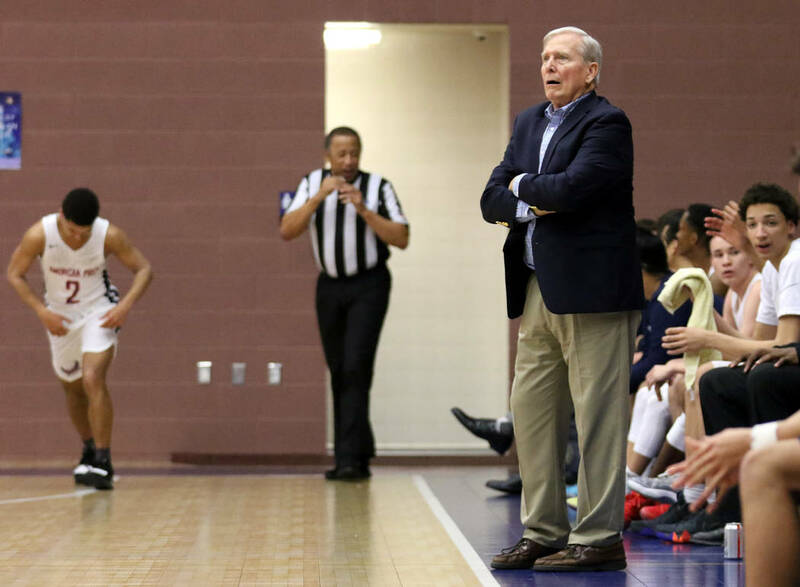 He had won state championships as a coach in basketball and track at Pine View High School in St. George, Utah, where he worked for 20 years. 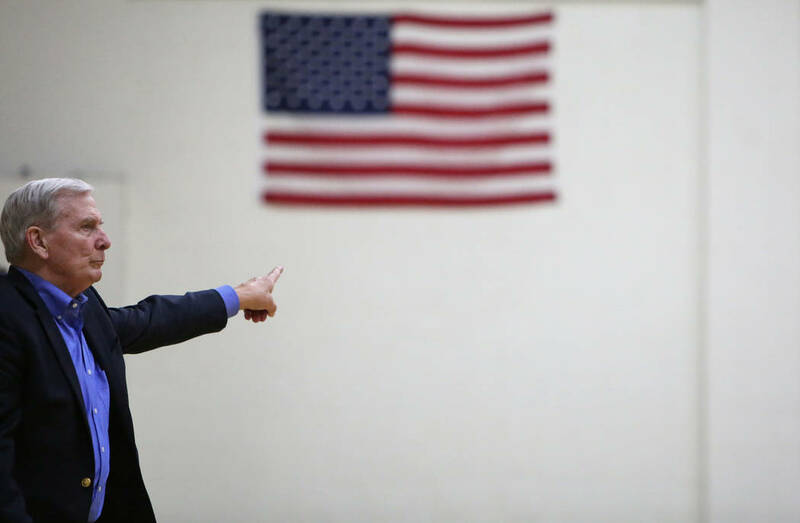 Larsen said he was informed by APA via email that his contract would not be renewed after the 2017-18 school year. 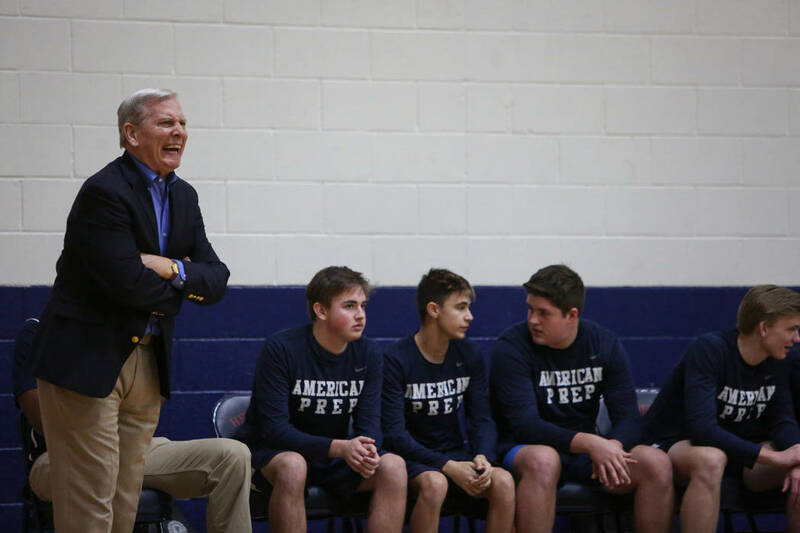 Rachelle Hulet, APA’s district administrative director and Nik Hulet’s sister-in-law, said the school was not created to be an athletic-focused powerhouse. Even so, the school had a need that Bliss filled. “Dave Bliss brought us an organized plan on how to run an athletics program, and we needed an organized plan,” she said. 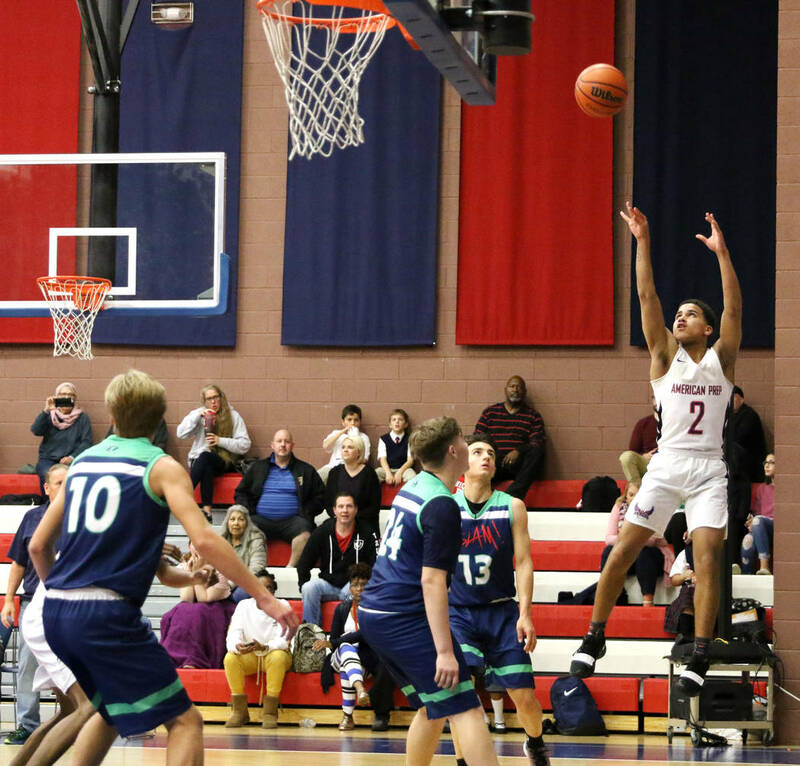 APA’s varsity finished 19-7 this season and won the Nevada Charter School Sports Association championship. 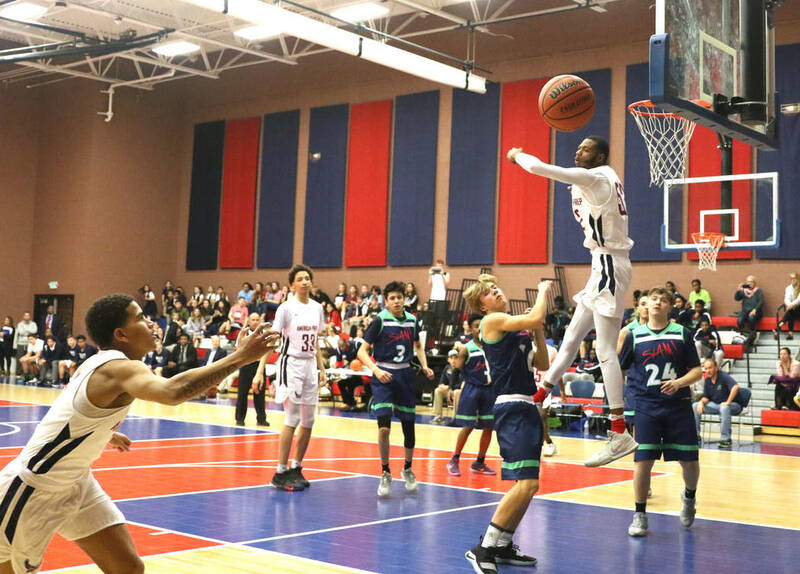 Among the team’s top players was former Cheyenne High standout KeShawn Hall, who didn’t arrive at APA until mid-January. He initially had tried to transfer to another school, but when he learned he would not be able to join the basketball team there, he opted to join Bliss’ team. “(Bliss) has been nothing but great for my son,” said Willie Hall, KeShawn’s father. 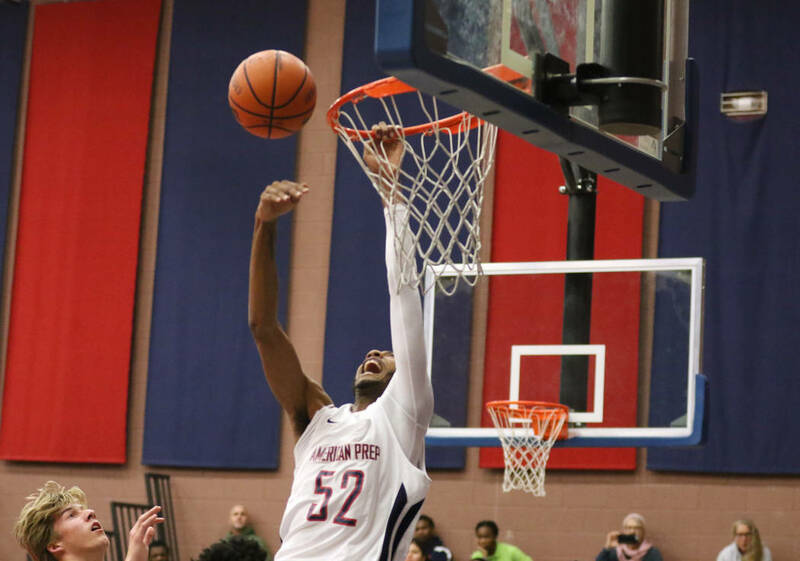 There’s also the curious case of APA’s best player, 6-foot-8-inch Darren Jones. Jones, a senior, has committed to play football at the University of Utah. He departed Cajon High School in San Bernardino, California, after the first semester of his senior year. His time in California, according to the Inland Valley Daily Bulletin, took him to three different high schools before he arrived at APA. According to the Rancho Cucamonga newspaper, Bliss claimed that Jones was being home-schooled in Las Vegas. However, when asked in January by the Review-Journal if Jones was enrolled at the school, Nik and Rachelle Hulet said that he was. Jones, who played in nine games for APA, did not reply to a request for comment through his social media page. What was not legitimate: APA used ineligible players in two middle school games. On both occasions, Bliss sent emails acknowledging his mistake. In one case, an APA high school freshman who played Class 4A varsity football played in the game against K-8 charter school Pinecrest St. Rose. The boy has since left APA. 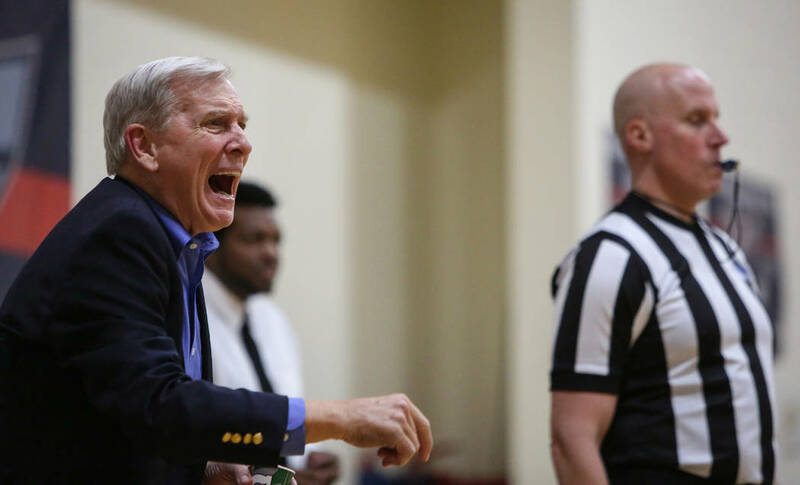 However, a video of the game taken by a Pinecrest parent and obtained by the Review-Journal showed that APA had uniformed players on its bench. A letter from a Pinecrest parent concerning the incident, sent to selected charter principals and board members overseeing league sports, stated that Bliss was asked about the player in question before the game and responded: “He’s in eighth grade.” Moments later, the letter stated, Bliss told the parent that the boy played football. Three days later, it did. APA’s middle school team played Doral Academy-Cactus. On the floor for APA was one of the top youth players in the valley. 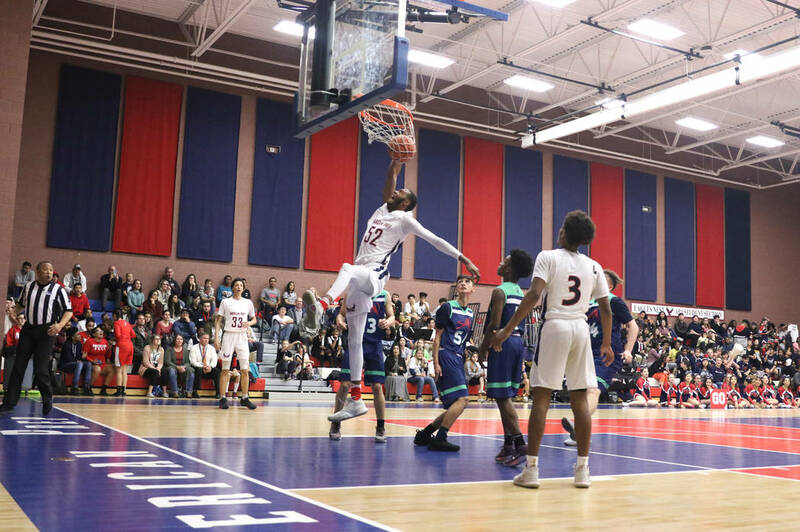 A source who spoke with the Review-Journal on the condition that they not be identified confirmed that the player was not enrolled at APA and already had played six semesters at a Clark County School District middle school, making him ineligible for the game. In an email regarding the Doral forfeit, Bliss said: “We have no excuse, and the league is already aware of the incident. In addition, the coach who committed the violation has been removed.” APA declined to identify the coach but confirmed that he was suspended and not fired. The Review-Journal’s attempts to identify and reach the coach for comment were unsuccessful. “How he is allowed to be in charge of an athletic program at any level after what happened (at Baylor) is incredible,” he said. Reporter Bartt Davis contributed to this story. Contact columnist Ed Graney at egraney@reviewjournal.com. Follow @edgraney on Twitter. Contact reporter Sam Gordon at sgordon@reviewjournal.com. Follow @BySamGordon on Twitter. Contact reporter Adam Hill at ahill@reviewjournal.com. Follow @adamhillLVRJ on Twitter.